Seventh Star Press, LLC, 9781941706480, 326pp. Zeus' warriors, the defenders of humanity, have suffered terrible losses. Presumed dead, Earl Preston has been forced to retreat into a forgotten underworld beneath New York City, but he is still far from safe. Hades' disciples need only to recover the two remaining crystal skulls -- ancient vessels of indescribable power -- and their dark quest to return the vanquished gods to earth will be all but complete. To save civilization as we know it, Earl must rise to confront his greatest challenge yet, but this is a fight he cannot win alone. Trapped inside an alien environment, Alan Everson and Kari Hannigan must put aside their differences and work together to help a gravely injured Carol Miyagi -- a woman they both claim to love. Theirs is a journey to discover the secret of life itself. And they may not like what they find. 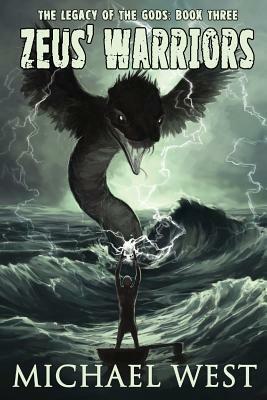 Zeus' Warriors is the third book in the Legacy of the Gods series.